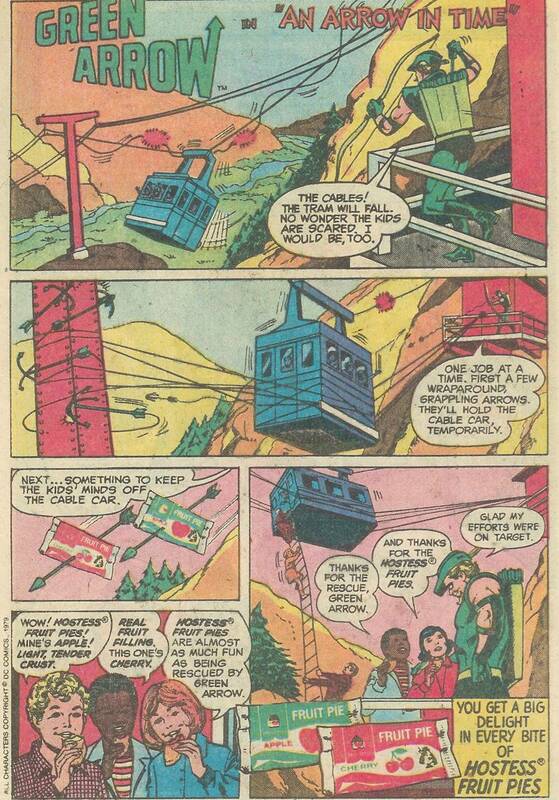 From Wonder Woman #267 comes a memorable Hostess Fruit Pies advert featuring Green Arrow! Watch as Green Arrow uses the latest arrow to his repertoire, the Fruit Pie Arrow! Of course, they don’t mention WHERE the arrows landed, or the fact that being impaled on arrows doesn’t enhance the fruity flavor any. Ah well, he’s a superhero, not a baker.